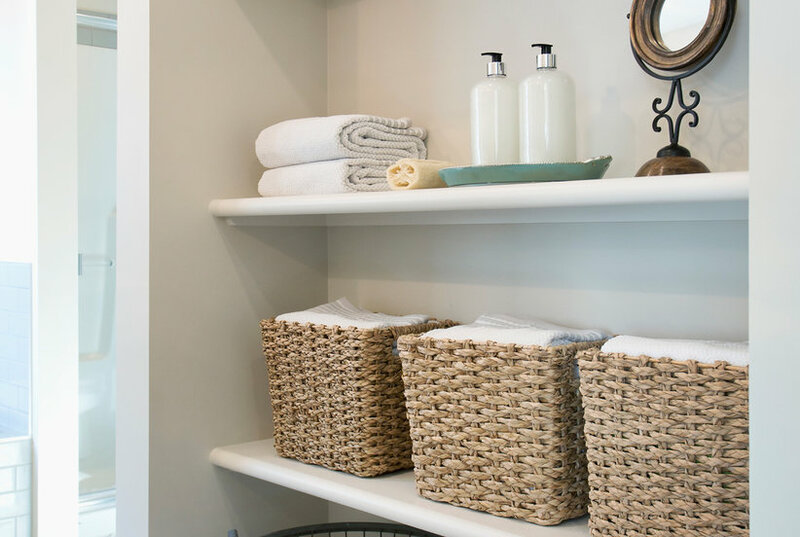 Decorate your master or guest bathroom in rustic design using this farmhouse-inspired hand towel. "Blessed" in beautiful font is embroidered above a cotton bud accent as its white cotton construction dries off your hands in comfort. Always remember to "live simply" drying your hands off with this lovely hand towel. Its farmhouse-inspired design in teal blue cotton features its embroidered phrase next to a cotton bud accent. 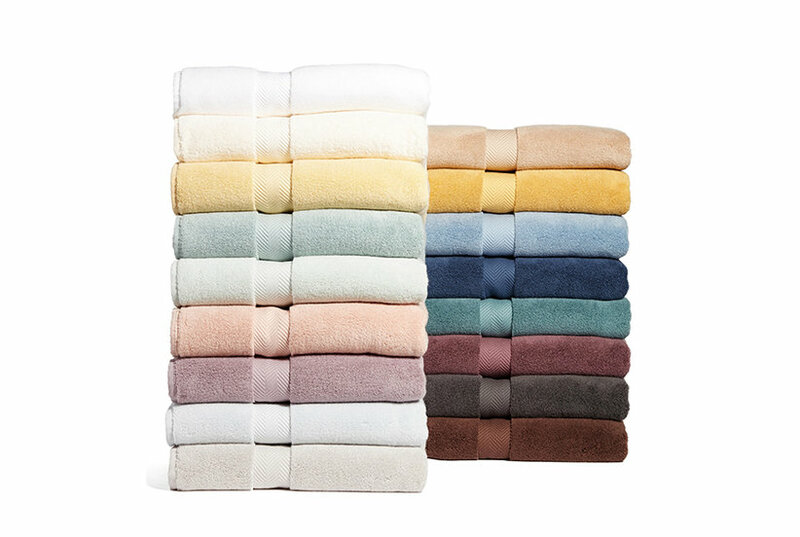 Create your own personal oasis in any bathroom with the Southwestern-inspired embroidery and beautiful hues of this Canyon cotton hand towel from Avanti. Give your space the look and feel of an inviting lodge in the woods with the rustic countryside styling of this Lakeville cotton hand towel from Avanti. Transform your home into a beautiful beachfront bungalow with the soft, absorbent cotton and charming seashell embroidery of this Larissa hand towel from Avanti. Bring some soothing seaside charm into your bathroom with the stylish seashell embroidery and refreshing tones of this Grover Beach cotton hand towel from Avanti. Give any bathroom the refreshing feel of the great outdoors with the super-soft cotton and wildlife embroidery of this Nature Walk hand towel from Avanti. 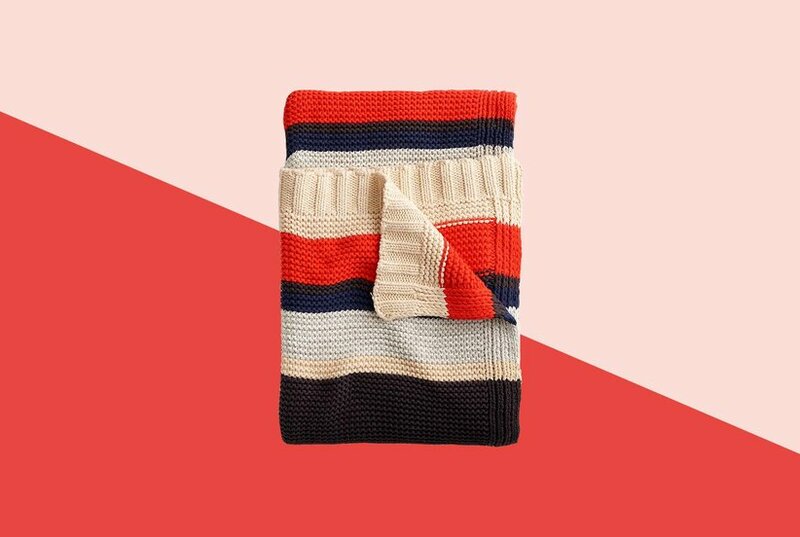 Add some luxe comfort and contemporary charm to your bathroom's appointments with the ultra-soft ribbed cotton and playful embroidered message of this Chatter hand towel from Dkny. Transform your space into a peaceful lakefront retreat with the fun canoe embroidery featured on this stylish Lake Life cotton hand towel from Avanti. Add some relaxing rustic style to your bathroom with the charming embroidery and soothing tones of this Modern Farmhouse cotton hand towel from Avanti. Refresh your bathroom's decor with the seaside charm of this Island View cotton hand towel from Avanti, featuring an embroidered nautical motif rendered in soothing tones. A beautiful bird motif makes this Love Nest cotton hand towel from Avanti an ideal choice for adding classic charm to any bathroom's decor. 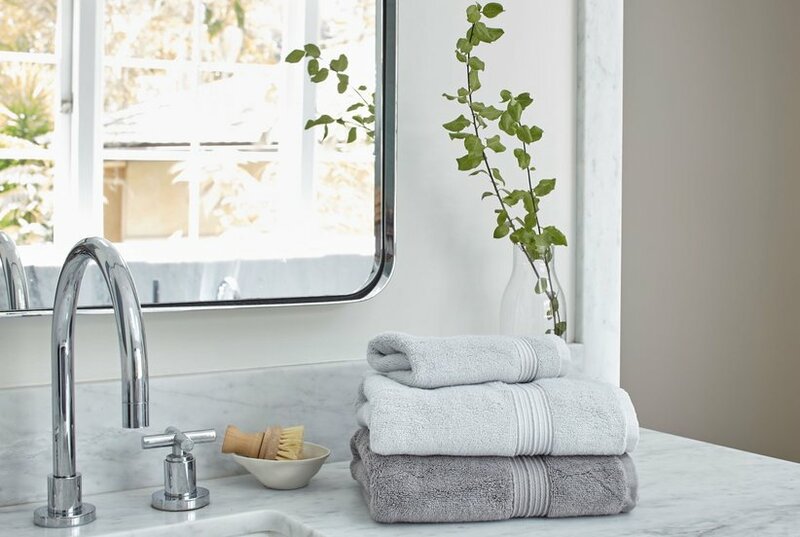 Refresh your bathroom's look and feel with the soft textured cotton, embroidered diamonds and pintucked stripes of this Cubes hand towel from Saturday Knight. Transform your space into a stylish seaside escape with the starfish and coral embroidery of this Beachcomber cotton hand towel from Avanti. Reimagine your bathroom as a relaxing island getaway with the breezy coastal-themed embroidery and refreshing hues of this Beach Cruiser cotton hand towel from Bacova. Refresh your bathing essentials with the super-soft cotton and colorful embroidered medallions of this Emmeline hand towel from Avanti.